Sensible design allows us to think about a problem from a new perspective and generate more ideas. When we’re talking about a concept, we think about how we want the product to taste, smell, look, feel, and sound. More importantly, we think about how we don’t want the product to taste, smell, look, feel, and sound. Would you want a computer that smells like farts? Probably not. Would you like to know which projector is the quietest? Probably so. By using the tool of sensible design, we are able to extract ideas from each sense, think about the effects of each sense on the concept, and generate ideas that were previously overlooked. Thinking about a product, a concept, an idea, or an event from the perspective of their senses shakes your brain up a little bit. Try thinking about your problem, product, business, or service from the perspective of your senses. 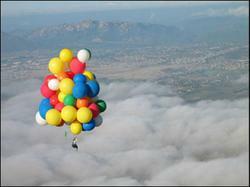 What if you were going to start a Cluster Balloon Ride company? What would you want your customers to experience? What senses do you want to evoke? Now, tackle your biggest problem with the same approach. What did you discover? Car manufacturers understand the power of the senses. Eighty-six percent of consumers are attracted to the “new car smell.” (reference) What most people don’t know is that the smell is manufactured. New car smell comes in an aerosol container and is sprayed into each car’s cabin before it leaves the factory. When Rolls Royce learned that consumers didn’t like their new scent as much as the old, they went to work recreating the “original” smell of the automobile, using the 1965 model as a prototype. Consumers have said that sound is another important aspect of an automobile. In fact, 44% of consumers say that the sound of a car is more important than the design. (reference) The makers of the Acura TSX have actually artificially generated the “perfect closing” sound of their doors using vibrations generated by electric impulses in the door. Do not be afraid to try an unconventional approach to your issues. Creativity doesn’t require genius, and your idea doesn’t have to be revolutionary. Sensible design allows innovators to take their product to the next level and harness the power of the senses. 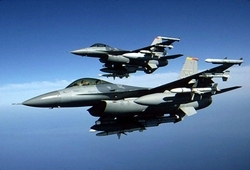 Every F16 in the world has to go to a facility at Hill Air Force Base in Utah once a year for maintenance and painting. Several years ago I went to the base to conduct a session about the facility and the painting procedure. In spite of the crew’s protests, we went through the five senses anyway, and soon discovered that one of the biggest challenges the crew was facing was thirst. The hangars are huge, 100’s of yards long, and there are only a few water fountains, located at the ends of the building. The crew was stuck in their stations doing their jobs. Walking to the water fountains took too long, and people were getting thirsty. There was an immediate uproar. My idea certainly wasn’t earth-shattering, but the team probably never would have come up with a simple working solution to the problem if they hadn’t used the concept of sensible design to think about their process from the perspective of each sense. When I worked on the space shuttle program, we had an issue with the Solid Rocket Boosters during water landings. When the boosters hit the ocean after the first shuttle launch, the ocean water moved out of the way and then slammed back on the metal case and crushed it. These cases come in four pieces that cost $500,000 each. Obviously, we couldn’t have these expensive cases being destroyed every time the boosters landed. We engineers, in our infinite wisdom, put these big, metal stiffener rings on the outside of the cases so they wouldn’t crush. At the next launch, the water hit the stiffener ring and ripped the case up twice as bad. Then we came up with an idea to spary-apply an isoprene foam at a 45° angle under the stiffener ring so the water would hit the case and curve off without ripping it apart. This plan actually worked quite well, but there was one issue: the foam contained cyanide and the technicians spraying the foam needed to wear bunny suits to protect themselves from the chemical. We used the sensible design tool in our next meeting to brainstorm some ideas. Imagine sitting in a room with a bunch of engineers and NASA people and saying, “OK. Let’s talk about the operation of spraying foam. How does it feel? How does it smell? How does it taste? I get strange looks from students when we first approach this exercise in a class, but these people looked at me like I was out of my mind. I asked the skeptics to trust me, and we began brainstorming. After we generated a few hundred ideas, we prioritized our list. The sense of feel had revealed a particularly important issue. One of the most critical things that we came back to was the idea that these guys in bunny suits were going to be unbelievably hot. The procedure would be taking place on the sixth floor of a new facility at the Kennedy Space Center in Florida. The facility was an uninsulated, tin shed building that reached temperatures of 128° with 100% humidity in the heat of Florida’s summers. The biggest problem with the plan was that the guys in bunny suits were going to pass out from the heat. We came up with the simple solution. By installing a small venturi tub in each suits’ airline, we could drop the internal temperature of the suits by approximately 50°. The modification only cost $250. Even though the process of sensible design seems really farfetched and freaky, we actually came up with a very practical solution to a problem that we might not have ever thought of – and prevented the guys in bunny suits from dropping dead in the heat. The practice of sensible design illustrates an important point. Creativity doesn’t have to be earth shattering. Many times, the solution to the problem is really quite obvious once you know what you’re looking for. What has my Computer been Eating? I was told this story a few years ago by an Apple Computer employee. Jobs was a little confused. How could a computer smell like a fart? When Jobs returned to Macintosh, he decided to investigate. Sure enough, he discovered that the production area did smell a lot like a fart – but why? It turned out that when the engineers took the Macintosh computer from a prototype to production, they made an error in the timing of the curing of the plastics. The computers were built with sulfur-cured plastics, and the plastics weren’t being cured all of the way. The computers were being shipped out to consumers in boxes when the plastics were only about 90% cured, hence the “fart” smell from the residual sulfur. 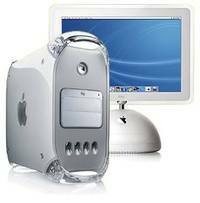 If Macintosh had considered their computer’s design from the perspective of each sense, they may have thought about and addressed this issue sooner. Luckily for them, one little girl’s keen sense of smell prevented the odor from turning off other prospective buyers. When I apply sensible design as a brainstorming strategy, everyone in the room is asked to think about the concept from the same perspective at the same time – from the viewpoint of our senses. We think about the concept in relation to each sense, one at a time, and generate four or five hundred new ideas. When we start talking about how the concept feels, tastes, or smells, people usually look at me like I’m nuts. Things are usually pretty quiet at first, but by the end, almost everyone in the room starts participating and throwing ideas out there. After we finish brainstorming, we go into our left brain and think about each idea logically. In the end, we usually find that we’ve generated five to ten ideas that could be easily implemented; ideas that we never would have thought of if we hadn’t considered the product from the perspective of each individual sense. Although the issues and ideas we come up with can be pretty important concepts, addressing the issue or finding a solution is often simple. The biggest obstacle to solving the problem is identifying it in the first place. Many times, no one has ever stopped to consider the product or problem from the perspective of their senses. Let’s talk about a leading manufacturer of projectors, who will remain unnamed here to minimize the embarrassment. Every projector in the world, that I know of ,is advertised and sold on the basis of weight, color, luminosity, and cost. This company’s projector is the best-selling projector on the market, but not because it stands out in any of the above areas. The makers of this projector have tens of thousands of customers telling them why they bought this specific product– and it’s not for any of those reasons. Consumers choose this particular projector because it’s quiet. This particular model happens to be the quietest projector on the market, it has a unique cooling fan design. This is noteworthy because the makers of the projector do not say anything about the noise level of the product in any of their marketing or advertising materials. Why? I suggested that they create an advertisement on their Web site that simply says, “Our projector is the quietest projector ever built,” leave the ad up for a month, and see what happens. I’m certain that the company could sell even more projectors if they used their biggest marketing tool to their advantage. Unfortunately, they still haven’t taken my advice. Every projector in the world is still sold on the basis of those same four factors – even though those product qualities aren’t the only ones that convince consumers to purchase a particular model - because no one is willing to differentiate. What does Christmas taste like? What does Christmas sound like? Smell like? Feel like? 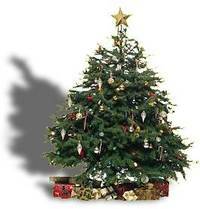 What does the experience of Christmas evoke in your senses? Sensible design uses the concept of concurrent thinking to create ideas. We all experience the five senses at the same time; however, in many cases, people do not consciously separate the senses and attempt to feel each of them individually. Thinking about Christmas from the perspective of each sense is simple enough, but how does sensible design translate to the business world? Although most people have never tried to consciously think and separate the five senses in their ambiguity, senses play a huge role in consumers’ satisfaction with and attraction to a product or business. Consumers evaluate products based on the way the product appeals to their senses. Manufacturers know this. The marketing concept of branding is designed to create emotional ties between the consumer and the product. Studies show that almost 75% of our emotional behavior is derived from the sense of smell, yet a product’s scent is typically ignored in favor of look and sound. Sensuality is enticing. The manufactures of brand-name goods are just beginning to harness the power of the senses by differentiating their products through multisensoric packaging that appeal to each of the five human senses. Multisensoric packaging goes beyond the traditional look and sound of a product and integrates smell, touch, and taste into the product’s casing. Research from the Milward Brown institute has revealed that innovative packaging techniques can increase consumer’s brand loyalty and generate increased sales. In one study, consumers were asked to choose between two identical pairs of tennis shoes. The shoes were placed in two different rooms. Each of the rooms was completely identical, except that one room was infused with a pleasant scent. Consumers not only preferred the shoes in the room infused with a scent by a margin of 84%, but they also perceived the value of the shoes in that room to be almost $10 higher! Wouldn’t you think that all companies would try to identify what aspects of their product evoke a positive association with the consumer’s senses and use that association to their advantage? Surprisingly enough, that’s not always the case.